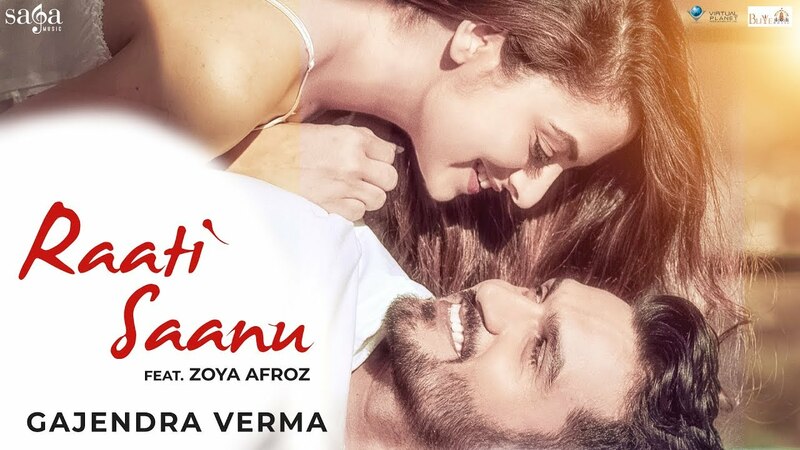 Tera Ghata fame – Gajendra Verma new song 2018 â€œRaati Saanu” featuring Zoya Afroz. An extremely fascinating romantic song of 2018 that gives an emotional feeling of being in true and real love. Saga Music presenting #GajendraVerma New Music Video #RaatiSaanu Ft. Zoya Afroz after grand success of #TeraGhata ft. Karishma Sharma. Directed by Vikram Singh. Gajendra Verma Raati Sanu is nicely shot heart touching & affectionate love song that shows the feeling of fondness and infatuation between couple. In-spite of several fights and misunderstanding, the two people who are attached to each other with the tender emotion of love can never manage to stay without each other. Special Thanks: Vicky Champi-Destination Siam Group, Thailand. Latest Punjabi Video 2018 Raati Saanu Video Song By the Artist Gajendra Verma. Music Directed By Gajendra Verma. Raati Saanu Lyrics penned and Written by Dr Surendra Verma . Download New Punjabi Full HD Video Raati Saanu 1080P 720P 480P 3gp Mp4 Mp3 Song.